Thank you for clicking on this page and for caring enough to learn more about our company. 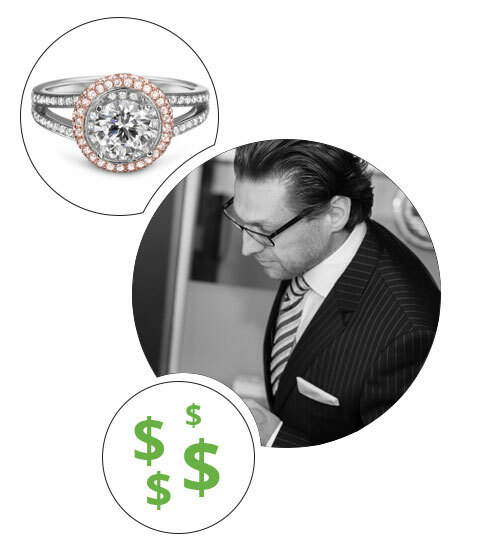 My name is Andy Moquin and I am the founder of 4CMedia a company dedicated to making jewelers successful. I started this company after my jewelry colleagues kept telling me how creative my jewelry store marketing was. I never saw it that way, I simply love the jewelry business and wanted to tell the world that I was there to serve them. Our mission is very simple at 4CMedia and that is to help you sell more jewelry using amazing marketing tools. We’ve walked 1000 miles in your shoes, so we can totally relate to what keeps you up at night. This is what makes our products so special…they were all created to fill the needs of today’s jewelers. I know you will find us to be major asset, you’ll enjoy our ideas, respect our attention to detail, and one day call us friends. You have nothing to lose in fact you have everything to gain by contacting us, don’t wait any longer….call me now. If you’re still not convinced then subscribe to my jewelry marketing newsletter. It’s free and I will share my secrets and marketing tips every so often via email. After a while I may gain your confidence, thanks in advance!